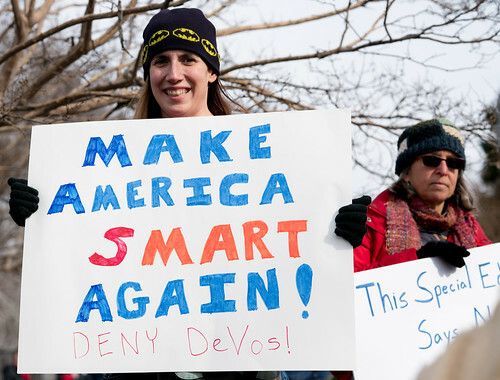 The Anagram Times: Why is Betsy DeVos, Trump's pick for education secretary, so unpopular? President picks Elisabeth 'Betsy' Dee DeVos = Skeptics: "She's a *bleep* ditsy inbred devotee"
DeVos confirmed as education secretary = Democrats convey our defiance. Disaster!